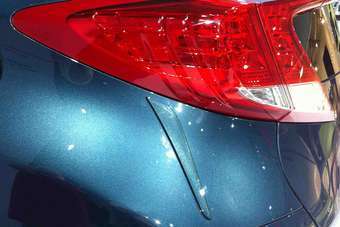 "The 'rear side spoilers' have a fairly big aerodynamic effect, affecting how the air travels off and over the rear of the body. They contribute to a reduction in CO2 of 1g/km. They are used on the diesel car to bring the CO2 down to 110g/km, which slots the model into a lower sector for taxation."